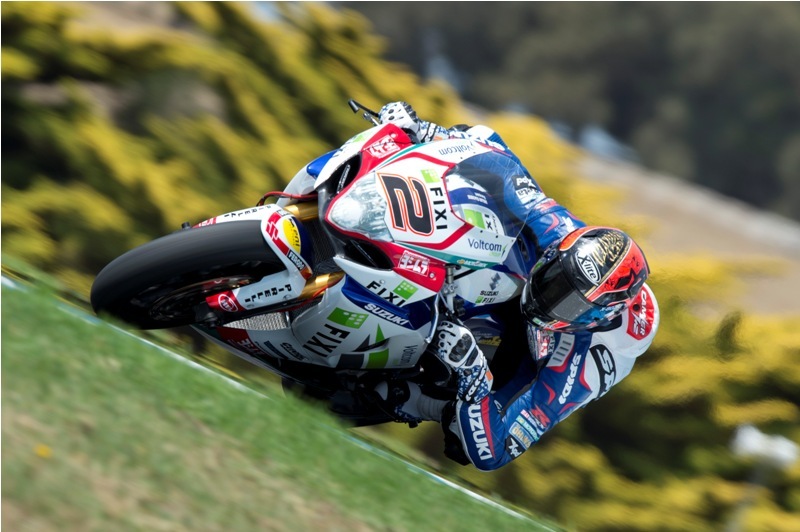 Aprilia’s Eugene Laverty has topped the first day of private testing at Philip Island. The Island has been resurfaced over the winter, which is generally a good thing and we’re expecting faster lap times over the next week, Troy Bayliss even pondered on Twitter as to whether records would be beaten. However, a new surface also comes with a lack of rubber, making the track slippery. This lead to several riders realising this morning, as they found themselves in the gravel. Leon Camier was second behind Laverty, despite a huge highside this morning. The PATA Honda pairing lined up behind the top two, with Rea in 3rd and Haslam in 4th making it an all British/Irish top 4. Melandri and Guintoli were placed 5th and 6th respectively, with Melandri still struggling with a bad shoulder. New Suzuki man Jules Cluzel put himself 7th on the timesheets, despite two crashes at the same corner as team mate Camier. Giugliano was 8th and Badovini and Neukirchner rounded off the top 10, not showing an awful first competitive ride for the Panigale. Ducati’s top man Checa didn’t ride due to feeling unwell. Chaz Davies found himself 11th whilst Loris Baz who also took a trip into the gravel took 12th spot. Fabrizio found himself 13th with Tom Sykes in 14th having only put in 5 laps before a spectacular high side left him with suspected wrist damage.